We are thrilled to have printed the first ever issue of this fantastic magazine. Holistic Health Magazine it the first quarterly magazine designed to inspire, motivate, and educate on all aspects of health. It encompasses the full spectrum of holistic health and well-being, which we think is just BeBrilliant. The magazine embraces both print and digital. In this rapidly advancing digital world the truth is people still like having something to hold. Digitally turning pages on your tablet just isn't as satisfying as a flicking though your printed copy. Print and digital both come with their own sets of pros and cons, so the real winning remedy is to do both. You could say it’s the holistic approach. The magazine is printed on offset paper which has a rougher finish. Offset or uncoated paper has become increasingly popular, one of the reasons being the recent organic trend. It gives off a more natural, raw feel which embodies what the magazine is all about. The pages of this magazine show just how good LED UV looks on uncoated stock. The images are so fresh and crisp, the LED UV really helps the colours hold their vibrancy. LIKED Holistic health magazine's JOB? 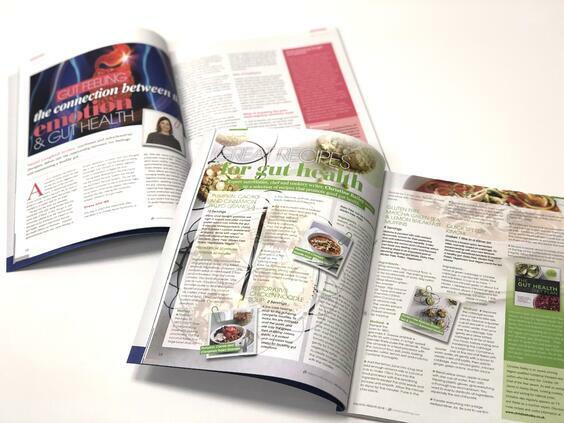 Holistic Health Magazine were extremely happy with how their magazine turned out. The offset paper gives it a stylish finish which makes the experience an absolute delight for the reader. Who knew that LED UV could look so good on an uncoated stock? 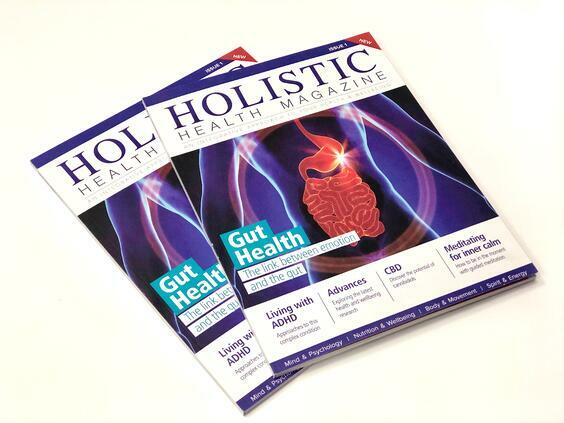 Well Holistic Health Magazine did and thanks to our printing abilities we have managed to bring their vision of a vibrant, eye-catching magazine to life. If you liked the look of this stunning magazine and what the power of print can produce, get in touch with one of the team members here at B&B Press and we'll make your next project, a BeBrilliant one.